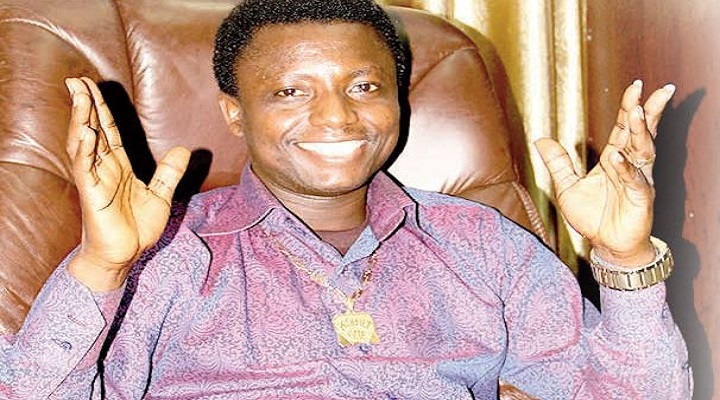 Prophet Ebenezer Adarkwa Yiadom popularly known as ‘’Prophet One’’ was born on October 20th, 1963. 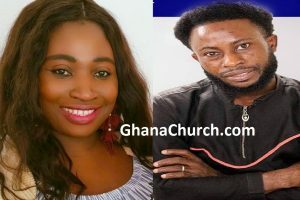 According to GhanaChurch.com analyst, Opambour is on record to have the largest church building and largest congregation at Ahenema Kokoben of Atwima-Kwawomang District in the Ashanti Region, Ghana. Opambour is the owner of Radio Mercury, a Kumasi-based private radio station and Prophet One Television. He has also built a hundred-building estate which he has christened Island City at Opambourkrom. 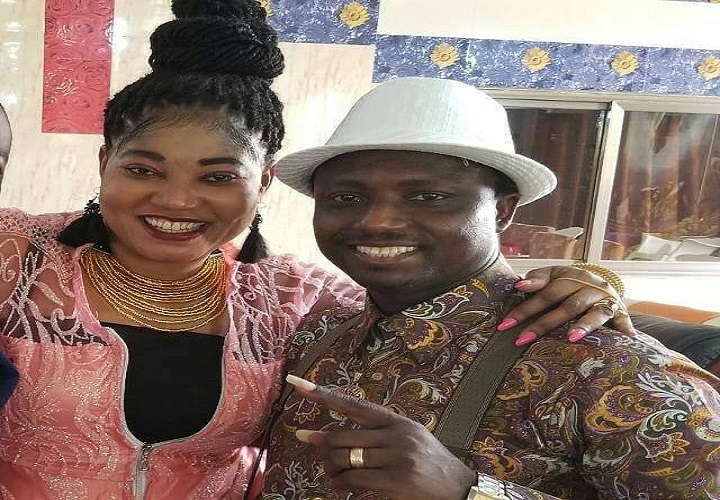 He had his basic education at St. Peters Educational Centre at Kwadaso and later continued at the Kumasi Technical Institute (KTI), where he pursued a course in plumbing. In his early days at school, Kwame was admired by most of his friends because of his melodious voice, even though he was always in tattered school uniform. His melodious voice eventually made him a composer and singer. He is currently married to Mame Mavis and they have five children. heaven before praying over it. He prophesied and received revelations about some church members, and counseled them on what to do. He was fond of joining the church leaders and pastors to visit the homes of sick members and whenever he was allowed to pray for the sick, there was manifestation of healing. Opambour had some slight misunderstanding with the elders of the Methodist Church. Some of his views on issues 9. Opambuor to leave the Methodist Church, to establish his own church. From Kofrom he moved the church to Patasi Estate – Patasi is a suburb of Kumasi. It is a residential area in the Kumasi Metropolitan Assembly. It is about 7 kilometres eastwards from centre of the regional capital, near Rev. Dr. Ebenezer Adarkwa-Yiadom’s rented house at Abrepo Junction, where the church was hosted for sometime, then to a place called “Friends Garden” in Patasi Estate. He was the first to settle at Ohenema Kokobem where he put up the church auditorium, his residence and residence for people who participate in his programmes but come from far places. He named the place “Island City.” The church which currently has over twenty thousand members has branches in Accra, Cape-Coast, and Sunyani. There is a branch also in Germany, and according one of the pastors, one will soon be started in Canada. the associate pastors is determined by the number of years one has been with the prophet. (a) God as the Creator of the universe. (b) The death, resurrection and ascension and the second coming of Jesus Christ. (c) The use of the anointing oil. membership of the church but to find solutions to their problems. (f) Baptism by the Holy Spirit. of Jesus, and Jesus himself can be found in the church auditorium. Ebenezer Miracle Worship Centre starts with a Divine Service on Sunday from 10a.m. to 2.00 p.m. There is All-night prayer session on Monday, from 9.00 p.m. to 5.00 a.m.
On Tuesday 6.00 a.m. to 2.00 p.m. there is Counseling session. Wednesday 6.00a.m. to 2.00 p.m. is scheduled for a special miracle service. There are no church activities on Saturdays. based on a short scripture lasts for about 20 minutes. cheers from the congregation with a standing ovation; he is introduced with titles such as “Dr. with special offertory in exchange of anointing oil, ranging from Fifty Ghana Cedis to One Ghana Cedis (GHC 50.00 to GHC 1.00). At this juncture, Prophet Opambour himself receives the moneys from the people and put into the box and the other pastors distribute the anointing oil. An offertory of Fifty Ghana Cedis attracts a personal meeting with the prophet in his house in addition to two small bottles full of oil blessed by him. He gives instruction regarding its usage. A Thirty and Twenty Ghana Cedis offertory also attract two bottles of blessed oil by the prophet but without any special meeting with him; but he gives guidelines on how to use it in order to receive solutions to one’s problems. An amount less than Ten Ghana Cedis attracts oil tied in a polythene bag that is to be used according to one’s own desire. The service ends with a prayer and benediction by the prophet. The choir does not recess.